With a disappointing last minute loss to Swansea RFC last Saturday we turn our attentions to the arrival of The Steelmen, Ebbw Vale RFC for the second time at the Park this season. We played them at home in the first round of the Cup with them running out victors that day. The coaching team have made 3 changes to the starting line up as Curtis Ford replaces Dylan Morgans on the wing, Ifan Beynon Thomas replaces Aron Hemming at scrum half and Shaun Evans replaces Elis Lloyd at openside flanker. Gethin Davies and Connor Allen make the bench and replace Shaun Jones and Steff Phillips. 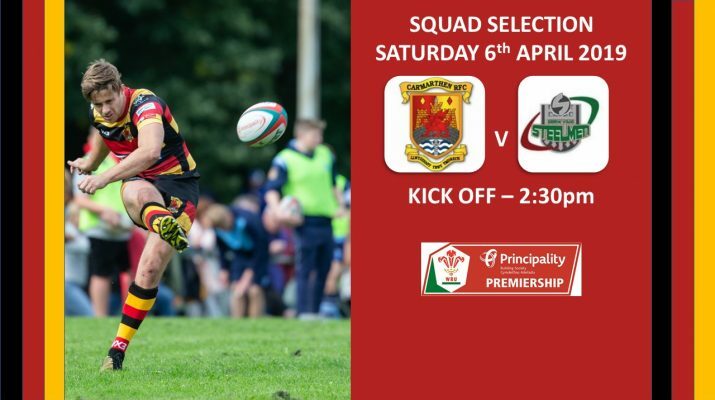 Copyright © 2019 Carmarthen Quins : Official Website. Theme: ColorNews by ThemeGrill. Powered by WordPress.